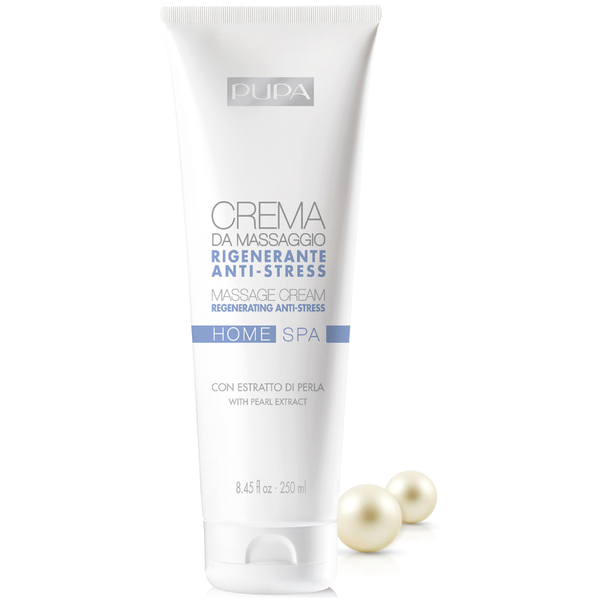 Soothe both your skin and mind with the Anti-Stress Home Spa Massage Cream from PUPA. The velvet-smooth, emollient-rich formula effortlessly absorbs into skin, ideal for an indulgent massage with aromatherapy benefits. Enriched Pearl extract, it cocoons skin in a soft veil of moisture and light reflecting pigments, creating a youthful visage. The addition of Patchouli Oil creates a familiar, warm scent that instantly calms the mind and alleviates stress. Skin feels smooth and supple while your senses feel relaxed and tranquil.